cluster Semarang Editor (GSP). GSP is composed of some coral reefs in the Spratley Islands are located in the southern part of the Malaysian EEZ. Kites reef itself is an atoll in the remote sea in the South China Sea, 306 km to the northwest of Kota Kinabalu, capital of Sabah. It is right at 7 ° 22'23 .48 "N and 113 ° 50'46 .23" E. Uncertain reefs are formed by corals growing on top of underwater volcanoes or a submerged mountain. Experts say that in the coral sea kite series there are 30 coral atolls that make up the 7.3 km long and 2.2 km wide. Artificial island that is the only safe haven in the region. The waters around coral reefs in the region are still genuine, healthy and looks very well. Steep slope above the beautiful waters to dive. Marine life in the form of a variety of fish and turtles, algae and corals are common in this region. Sandbar that looks at sea became a favorite place to unwind for many species of sea birds, especially swallows. Therefore, coral reefs in the region known as the Coral Kites. In addition to containing natural gas and petroleum, GSP is also rich with marine life and natural beauty under the sea. Income of fishermen catch tuna could lead to RM 70 million a year. It's out of the catch, such as crayfish and grouper. Judging from the geostrategic aspects, Coral Kites is located at the southern end of the disputed Spratley Islands by country Malaysia, the Philippines, Brunei, Vietnam, Taiwan and China. At that location, the Malaysian Government has made an island of 6 acres next to the eastern end of the atoll as a military base and tourism called Stesen Lima. Malaysia's occupation of the reef began in 1979 through Operation Column by Paskal, special forces marines Malaysia, LST KD Raja Jarom and a Nuri helicopter detachment. Construction of the GSP by the Government of Malaysia actually criticized the Philippines, Brunei, Vietnam, Taiwan and China. 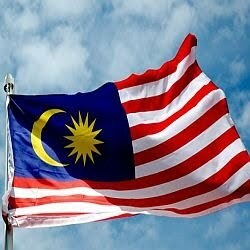 But so far the construction of defense facilities and tourism by the Malaysian Government to run smoothly. a. The main base unit and four security posts (Uniform, Papa, Tango and Mike). b. 1367 meter long airstrip that can accommodate well by plane CN235M. However, the Hercules C-130 can also be forced to land even though the conditions were less comfortable landing. c. The port is in Stesen Lima (Coral Kite) is currently 42 meters long and will be gradually extended to allow more ships and tour boats to dock. d. Six guns Bofors 40 mm caliber. To assure the presence of the Government of Malaysia on GSP, has built a tourist attraction that specializes in natural attractions, diving and deep sea fishing tour. Currently GSP, particularly coral Kites has become famous sights all over the world to be equipped facility for light aircraft airfield, harbor cruises, diesel power plants and wind, resort and water filtration systems Reverse Osmosis (RO). Deputy Prime Minister of Malaysia, Datuk Seri Najib Tun Razak during a visit to Coral Kite on Tuesday, August 12, 2008, explaining that the control and occupation of the disputed area is a major factor when the case was brought to the International Court Ambalat. Therefore, Malaysia will maintain its presence in the waters of Ambalat. Najib who also served as defense minister said that military installations are built in strategic outposts front line is part of the measures to support the EEZ. The Malaysian government considers it important aspects of the possession of territory in order to protect the state's sovereignty over its territory up to the border line of the outer islands. As has been recorded in history, Malaysia win over Indonesia in the case of Sipadan and Ligitan Singapore 2002 and victory over Malaysia in Pulau Batu Puteh seizure cases in the International Court of Justice in 2008 proved that the physical control of the disputed territory is an important factor to win the case by law in the International Court. Placement of military bases in the disputed territory EEZ gives a tactical advantage as a deterrent to other countries who want to dispute the region. While the development of tourism in Coral Kites inviting foreign tourists in addition to benefit financially as well as politically to build the international public opinion that the GSP is actually owned by Malaysia. Public opinion is important to strengthen international diplomacy if this territorial dispute was brought to the International Court of Justice. Malaysian military buildup in the Spratley Islands, which is Malaysia's EEZ her, in a dispute with the Philippines, Brunei, Vietnam, Taiwan and China are evidence that each country will take any action to protect the country's sovereignty. According to the RI Marine Attaché Kuala Lumpur, in the relations between states, the term known only in the EEZ of UNCLOS in 1982 that Malaysia itself is not ratified. According to the UNCLOS 1982, Malaysia as the country's geography does not give rights to the coastal region EEZ. Thus, the claim Malaysia's EEZ only is this claim. Although legally military buildup in the region Malaysia EEZ is not justified, Malaysia anyway. In the case of Ambalat by Indonesia, Malaysia border region map used by the Government of Malaysia is the map in 1979. This same year as the first occupation of security forces Malaysia to GSP Coral Kites and perhaps occupation to the islands of Sipadan and Ligitan. This relationship shows that the Malaysian government attention and action towards asset protection area has been around since 1979. The phrase Deputy Prime Minister of Malaysia Datuk Seri Najib Tun Razak Malaysia shows the desire to have a stronger Ambalat block with respect to the defeat of Malaysia from Singapore in the ownership of Pulau Batu Puteh. Problems Ambalat block is currently visible subsided keep potential conflicts, whether political, economic, social and military. increasing economic and military power in the southern sector of Malaysia Sabah east coast should watch out for and anticipated. Regions outermost points of the border of Indonesia, as well Ambalat Block, is a system in which the various parties and interests involved. Political, economic and social benefits of community life, cross-border trade, illegal logging, smuggling of migrants and natural resources around the outermost points of the border must be managed properly in order to provide a positive benefit to the struggle to defend the sovereignty of the Republic of Indonesia. Threats Homeland sovereignty around the outermost points of the border must be addressed in a comprehensive and requires the involvement of various parties. Geographical condition of Indonesia's vast and consists of thousands of islands and most of the border region consisting of the ocean is a crucial issue when confronted with the concept of defense with a focus on patrol operations using the warship weaponry and warplanes. This is understandable given the financial condition of the country has been unable to provide defense equipment as needed to maintain the sovereignty of the country. On the other hand, the geography of the thousands of islands owned by Indonesia and the Indonesian people that spread to outlying islands is a very valuable asset if managed properly. The government should give priority to the development of social and economic infrastructure in the remote outer islands which are primary and which correspond to the potential of each region. In addition to basic infrastructure such as health, education, transport and so on, the potential areas that can be developed on the outer islands are usually aquaculture and marine tourism. With the development of this infrastructure is expected level of social welfare and economic potential in the region will increase. Increased economic potential is expected to be influential on increasing revenue and state revenue. One thing that should not be left out in community development in the outer islands are cultivating spirit of nationalism and patriotism and concern for the defense (defense awareness). History has proved the victory over the invaders of Indonesia is really a people's victory as a politician and soldier. In military terms, the people to help the army in logistics or supply information. In upholding state sovereignty in modern times the population of the outer islands of intelligence is an asset that can provide information regarding the threat to national sovereignty. Along with the increase in welfare, rural communities and the state as well as concern for the defense of the people in the outer islands, increased military strength in the region also improved gradually. Military bases have to be built on the islands or the outer reef, when necessary in the EEZ. The construction of military bases will provide security for the local people and also for investors who want to open in the region. Homeland struggle for sovereignty over a territory in the history of the struggle of the Indonesian nation, proved can be done from one side only. Diplomacy and military power alone will not be able to maintain a territory in dispute with other countries. Outermost point of the border dispute is a dispute over a system in which the various parties and interests involved. Draw lessons from Malaysia increased strength in the Spratley Islands, there are three important things that must be done to maintain the sovereignty of the Republic of Indonesia on the outer islands to involve a variety of government and society in today's conditions, the increase in social welfare and local economic potential, patriotism and the spirit of planting local nationalism and accompanied by increased military buildup in the region gradually outermost point of the country.